Mikhalev A.V., Perepelkin V.M., Tumanova N.I. This paper deals with current problems connected with organization and implementation of working places certification at the factories belonging to different branches of economics. The analysis involves workplaces certification activities, which include a number of organizational problems related to financing, finding a certifying company as well as looking for the optimal solution to these issues. Statistics has been given on workers’ awareness of mandatory aspect of working places certification, as well as reasons for the economic feasibility of this procedure. The main criteria taken into account when choosing a provider-company for working places certification are presented. The paper discusses some of the features and aspects for preparing initial documents of the workplaces certification procedure in accordance with working conditions. Keywords: certification of workplaces, classes of working conditions, benefits and provisions for harmful working conditions, certifying organization, employer. Terekhin R.G. Attestation of workplaces – not a cheap exercise // Forbes. 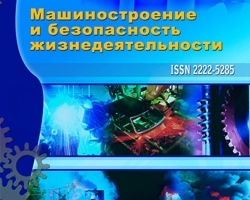 2011, № 9. – P. 15-18. Ilyina E.S. What you need to know about the attestation of workplaces // Business and Life. 2012, № 10. – P. 31-33. Mikhalev A.V., №1 (15) 2013, Organizational problems of workplaces certification according to working conditions, Perepelkin V.M., Tumanova N.I.